On a side burner, stove top or using a Weber Q Ware Frying Pan, heat the butter, garlic, Worcestershire sauce, hot chilli sauce and lemon juice in a saucepan over high heat. Bring the mixture to a boil and cook for 2 to 3 minutes. 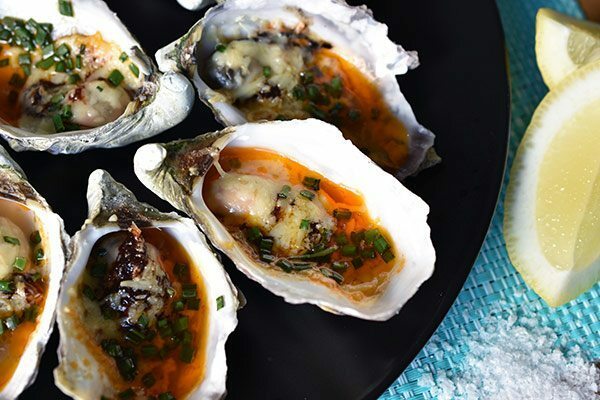 Place a teaspoonful of the butter over each oyster and top with a sprinkle of the grated parmesan cheese. Once the barbecue has preheated, make adjustments to the burner control(s) if required for roasting. Carefully place the oysters on the barbecue and roast for 5 to 10 minutes, or until the mixture is bubbling.